The use of animal models in research resulted in the advancement of knowledge for how diseases affect animals and humans. It has also led to the effective treatment of disease symptoms or in many cases disease cures. There are a wide variety of animal models used in drug discovery including, but not limited to Drosophila, C. elegans, mice, rats, rabbits, dogs, cats and non-human primates. Over the past century these and other species have been used to advance our knowledge of disease, to test new drugs, and to assure their safety before moving into the clinical phase with human subjects. Each model offers advantages and disadvantages, making them useful in certain types of studies or phases of drug discovery. The Foundation for Biomedical Research website has a table listing the animals behind top drugs and a comprehensive summary of how animal testing and research has advanced human health. 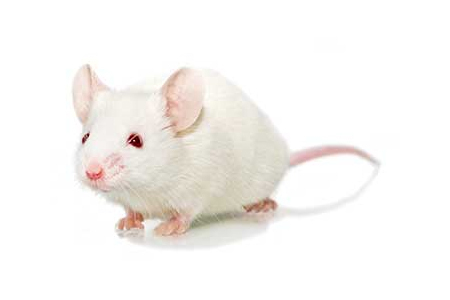 In this Taconic Insight, the focus will be on mice as a model used in drug discovery, yet many of the statements about mice are applicable to other species. The use of animals in biomedical research dates back to approximately the 6th-5th century BC with more prominent references in the writings of Aristotle, Diocles, Praxagoras in the 4th century BC and Erasistratus and Herophilus in the 4th-3rd century BC1. The first publication using mice in research dates to 1902, with French biologist Lucien Cuénot. Since that time, the use of laboratory mice has grown year-over-year. Early in the 20th century, mouse fanciers began breeding mice, resulting in some of the first inbred mouse lines in biomedical research. With the advent of genetically engineered models (GEM) in the latter part of the 20th century, mice and other species were modified to better reflect disease pathways or for use in high throughput screening. The use of genetically engineered models increased the rate of discovery over the last fifty years as reflected through the number of publications with mice2. Mice have many advantages over other model organisms. With a short gestation period of twenty days, inheritance studies are accomplished in a shorter time frame than other species with longer gestation periods. They have large numbers of offspring; with inbred mice yielding five to six mice per litter. This allows quick expansion of unique lines such as GEM mouse models. The lower cost of developing, breeding and conducting studies in mouse models facilitates their use in high-throughput screening. Utilization of mouse models in drug discovery supports a "fail fast" philosophy. Early identification of drugs that will fail testing in higher level animal models or clinical trials, lowers the over-all cost of drug development. For these reasons and others 95% of all animal studies use mice. For further information on this subject see Vandamme3, which provides a nice overview of why mice are a good model of human disease. There is a reasonably well-understood pathophysiological mechanism of the toxicity of the substance and its prevention or substantial reduction by the product. The effect is demonstrated in more than one animal species expected to react with a response predictive for humans, unless the effect is demonstrated in a single animal species that represents a sufficiently well-characterized animal model for predicting the response in humans. The animal study endpoint is clearly related to the desired benefit in humans, generally the enhancement of survival or prevention of major morbidity. The data or information on the kinetics and pharmacodynamics of the product or other relevant data or information, in animals and humans, allows selection of an effective dose in humans. 38% of all mice used in drug discovery are outbred mice, produced from the mating of unrelated individual mice. Outbred breeding maintains genetic diversity. Followed next at 31% are inbred mice produced from mating of male and female mice that are related, typically brother and sister. A line is considered inbred after twenty generations of brother by sister mating. Inbreeding results in homozygosity. The next highest type of mouse used (18%) are those produced through random transgenesis. These are mice in which a transgene has been randomly inserted in the genome by microinjection of a DNA fragment into a pronuclear embryo. Knockout (KO) mice contain a gene inserted or deleted using embryonic stem cells or more recently, CRISPR. Knockout mice make up about 18% of all mice used in drug discovery. The final category is congenic mice. The mice differ in only one locus and a linked segment of chromosome. Backcrossing of 5-10 generations is usually required to develop a congenic strain2. The drug discovery process has become very well defined over the past two decades. Most drug discovery programs adhere to a process that includes Target Identification, Target Validation, Lead Compound Identification and Lead Optimization, followed by preclinical testing for safety and efficacy. Mouse models are the most-used animal model in drug discovery. When combined with recent advances in genome sequencing, mouse models become even more powerful. Techniques such as homologous recombination, CRISPR/Cas9, and random transgenesis allows scientists to design mice to test a hypothesis or to generate mouse models of human disease. Traditionally, potential target genes were identified by forward genetic screenings performed using in vitro systems or inexpensive animal models, such as zebrafish or Drosophila melanogaster4,5. More recently, mice are used in genetic screening experiments to identify genes linked to specific physiological and pathological pathways6,7. The major advantage of using the mouse for genetic screenings is the possibility to directly validate results in well-established genetic disease models8. The main goals of target validation are to explore whether deletion or over-expression of a target gene might be detrimental to the organism and to confirm that its modulation alleviates the phenotypes associated with a specific pathology. The most common models represented in target validation are knockout mice (KO). KO models provide a very high degree of specificity and, with the correct design, are informative on the toxic effects of inactivating defined genes. One issue with constitutive knockout mice is the absence of a gene in embryonic development might have very different effects than in the adult animal. The use of conditional KO alleles coupled with inducible Cre recombinases can address this issue. By regulating Cre recombinase activity, it is possible to induce genetic deletion of a target gene in adulthood and model drug treatment in a more predictive manner. In addition to testing potential negative effects on the physiology of the organism, a major goal of target validation experiments is to verify that modulation of target gene candidates ameliorates the pathology in models of human disease. Paul Greengard at the Rockefeller University described a remarkable example of target validation in the mouse9. In the article, the authors describe the use of an in vivo RNA interference approach to modulate the activity of gamma-secretase activating protein (GSAP), a potential target for the development of drugs for the treatment of Alzheimer's disease. The use of an shRNA model provided two main advantages: its genetic simplicity, since a single allele codes the entire shRNA system; and the reduction, but not-complete elimination, of GSAP activity, mimicking the dynamics of a drug treatment more closely than genetic deletion. After a gene is validated as a target for drug development, the next step is to select molecules able to interfere with its function. The use of combinatorial chemistry, paired with high-throughput functional assays, allows efficient synthesis of potential therapeutic molecules. Due to the high costs of developing and maintaining transgenic lines, genetically modified animals are not typically used in the initial identification of active molecules. After selection of a compound, in vivo experiments are crucial before investing more resources to progress it to the next phase of the drug development pipeline. In vivo testing to assess safety and efficacy is a crucial step in the preclinical drug development pipeline. The appropriate use of genetically engineered models can help preclinical researchers address many of the concerns raised by the introduction of a new chemical reagent into the drug market. One major issue is the potential carcinogenic activity of candidate drugs. Regulatory agencies are very strict on the assessment of this drug safety aspect. The transgenic rasH2 model, developed by Tatsuji Nomura at CIEA in Japan10, is an indispensable tool for laboratories involved in the evaluation of compound genotoxicity. The model is more susceptible to genotoxic carcinogens than wild-type mice. This supports increased sensitivity in safety testing and a reduction in both animal test cohort size and project timelines11. Genetically engineered mouse models play critical roles in the drug discovery pipeline, including the study and characterization of disease pathology, target identification, and in vivo evaluation of novel therapeutic agents and treatments12. In the thirty years since their introduction, preclinical and translational scientists have learned a lot about the limitations and challenges involved in using these models to support development of new therapeutic molecules13. A major limitation of the mouse has been the limited genetic diversity associated with common laboratory mice. This has been overcome with the recent development of the Collaborative Cross and Diversity Outbred mice. These strains provide new tools capable of replicating genetic diversity to that approaching the diversity found in human populations. The Collaborative Cross and Diversity Outbred strains thus provide a means to observe and characterize toxicity or efficacy of new therapeutic drugs for a given population14. "The combination of traditional and contemporary mouse genome editing tools, along with the addition of genetic diversity in new modeling systems, are synergistic and serve to make the mouse a better model for biomedical research, enhancing the potential for preclinical drug discovery and personalized medicine14." 180 Nobel prizes awarded in Physiology and Medicine have used animal models, a demonstration of how powerful animal models are in drug discovery. Some notable awards include the 2018 award shared between James Allison, PhD and Dr. Tasuku Honjo for their work with checkpoint inhibitors, Dr. Bruce Beutler for his work with innate immunity and Rita Levi-Montalcini for discoveries of nerve and epidermal growth factors. The FBR website has a complete list. While in vitro and in silico methodologies play an integral role in drug discovery, animal models continue to prove their value in the process. With the advent of genetic engineering, these refined mouse models have become the primary animal model for investigators working in the drug discovery process. 1. Maehle A.-H., Tröhler U. Animal experimentation from antiquity to the end of the eighteenth century: Attitudes and arguments. In: Rupke N.A., editor. Vivisection in Historical Perspective. Croom Helm; London, UK: 1987. 2. The Power of Laboratory Mice. 3. Vandamme, Thierry F. "Use of rodents as models of human diseases" Journal of Pharmacy & BioAllied Sciences vol. 6,1 (2014): 2-9. 4. Gibert Y, Trengove M.C., Ward A.C. (2013). Zebrafish as a genetic model in pre-clinical drug testing and screening. Curr Med Chem. 20(19):2458-66. 5. Artal-Sanz M, de Jong L, Tavernarakis N. (2006). Caenorhabditis elegans: a versatile platform for drug discovery. Biotechnol J. Dec;1(12):1405-18. 6. Clark, A. T., Goldowitz, D., Takahashi, J. S., Vitaterna, M. H., Siepka, S. M., Peters, L. L., Frankel W.N., Carlson G.A., Rossant J., Nadeau J.H., Justice M. J. (2004). Implementing large-scale ENU mutagenesis screens in North America. Genetica. 122(1), 51-64. 7. Labdrette,S. & Tian, X. (2011). Somatic Genetics Empowers the Mouse for Modeling and Interrogating Developmental and Disease Processes. PLoS Genetics. 7(7), e1002110. 8. Buchovecky, C. M., Turley, S. D., Brown, H. M., Kyle, S. M., McDonald, J. G., Liu, B., Pieper A.A., Huang W., Katz D.M., Russell D.W., Shendure J., Justice M. J. (2013). A suppressor screen in mouse Mecp2 implicates cholesterol metabolism in Rett Syndrome. 9. He, G., Luo, W., Li, P., Remmers, C., Netzer, W., Hendrick, J., Bettayeb, K., Flajolet, M., Gorelick, F., Wennogle, L.P., Greengard, P. (2010). Gamma-secretase activating protein, a therapeutic target for Alzheimer's disease. Nature. 467(7311), 95-98. 10. Saitoh A, Kimura M, Takahasi R, Yokoyama M, Nomura T, Izawa M, Sckiya T, Nishimura S, Katsuki M. (1990). Most tumors in transgenic mice with human c-Ha-ras gene contained somatically activated transgenes. Oncogene. 5(8):1195-1200. 11. Urano K, Tamaoki N, Nomura T. (2012). Establishing a laboratory animal model from a transgenic animal: RasH2 mice as a model for carcinogenicity studies in regulatory science. Vet Pathol. 49(1):16-23. 12. Sharpless, N. E., & DePinho, R. A. (2006). The mighty mouse: genetically engineered mouse models in cancer drug development. Nature Reviews Drug Discovery. 5(9):741-754. 13. McGonigle P, Ruggeri B. (2014). Animal models of human disease: challenges in enabling translation. Biochem Pharmacol. 87(1):162-71. 14. Zuberi, Aamir and Cathleen Lutz. "Mouse Models for Drug Discovery. Can New Tools and Technology Improve Translational Power?" ILAR journal vol. 57,2 (2016): 178-185.